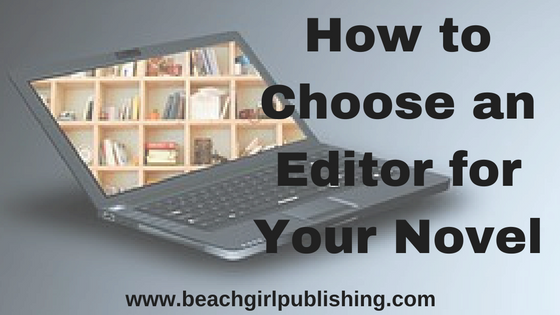 Choosing an editor is not an easy task. The success of your novel depends on how well it’s written and how well it’s edited. Finding an editor is much like finding a doctor or a caregiver. You want someone who will take care of you and/or your baby. Your novel is like a baby to you. You want it to be successful. Much like when you are looking for a doctor or caregiver, you can research and find an editor. This will take a little time, but it’s worth it. People will say to “Google” for editors. Of course, you can do that, but who knows who will you find. One of the best ways to find an editor is to ask other writers. I joined a writing group I found on Facebook and discovered my first editor. I asked a few questions and ended up using her. However, she didn’t edit as she said she would. For my next book, I searched for another one through the same group. She worked out much better. Another good place to look for an editor is the Editorial Freelancers Association. This website helps you with all aspects of finding an editor, including helpful tips and a rate chart. Even if you’re not done with your novel, keep your eyes open and start making a list of editors now. I still have some editors bookmarked now, but I will probably use the second editor I used before. Once you have a list of editors, look at their websites. Look at the genres they edit. Look for testimonials from other authors. Depending upon how long your list is, narrow it down to two or three and send messages to each of them. Ask them any questions you have and make sure they answer your questions. Editors do different kinds of edits. As I explained in a previous blog post, you need to understand the different kinds of editing. Ask yourself these questions. Do I need a developmental edit? Or do I need line editing or copyediting? Maybe all you need is someone to proofread. If you don’t know the kind of edit you need, the editor may do more or less than you want. One of your questions will be what the editor charges. As an editor and proofreader, I don’t post my rates on my website. Every job is different so what I charge for each client varies. What an editor charges could be your deciding factor, especially if you have a budget, or an amount, you can afford in mind. That’s okay. This helps with that final decision about choosing an editor. If you still not sure or if you think you have found the editor you want to use, ask them for a sample edit. The second editor I used allowed me to give her the first chapter of my novel. She did a great job with it so that sealed the deal for me. An editor should always be willing to do a sample edit. I have done them occasionally, but not everyone asks for one. I wouldn’t refuse to do this because that person could be a potential client. And a client you could get again and again as she publishes more novels. You don’t want grammar and punctuation mistakes. Do you? You don’t want a huge plot hole. Do you? Of course, not. You want readers to buy your novel, and you want to be successful. If you have a great tip to add or if you’ve a good experience finding a great editor, I would love to hear from you! ← What Is the Hardest Part of Writing a Novel?